Anyone who knows me knows that I love Lindt chocolate and that the Lindor truffles are literally my favourite chocolates ever. 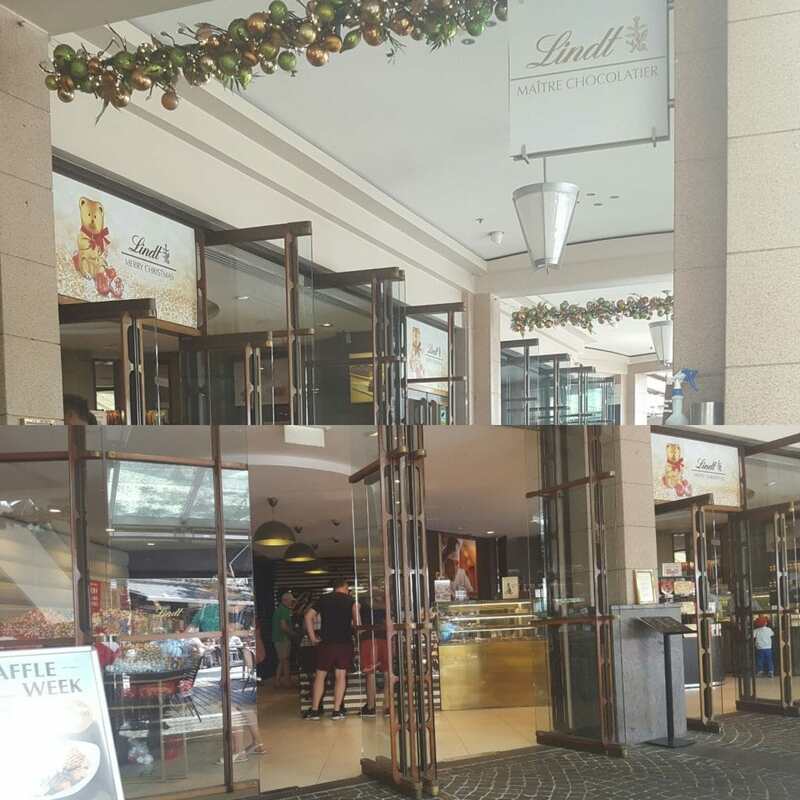 So when I found out that there was a Lindt Chocolate Café in Sydney last December, I definitely knew I had to visit it as soon as I could. I already picked out what I wanted from the menu so all I had to do was go. Sunday was the day I decided that I would take a solo trip to Darling Harbour to visit the infamous Lindt Chocolate Café. Taking the bus there was simple and only took less than half an hour to get there, it was the walking afterwards that was difficult. After a few wrong turns, a few fly swats (the flies in Australia like to pester you) and a not so sly U-turn later, I finally saw the sign that pointed to the direction of the Lindt Café. The café looked so much better than imagined; I was literally in Lindt heaven. They actually offered a Christmas waffle which came with additional spices such as cinnamon, which I love, and a hint of chilli, which I wasn’t so keen about; I mean I love chilli just not with Chocolate. 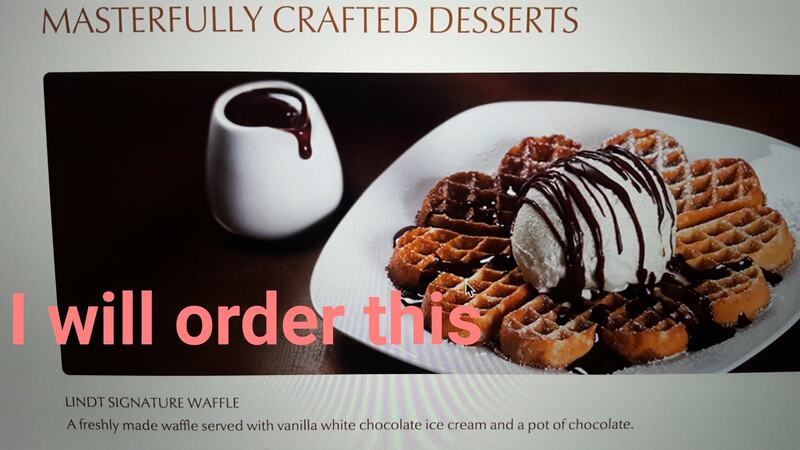 Luckily, there was an offer for waffles this week so my waffle was $5 dollars cheaper which was a pleasant surprise. 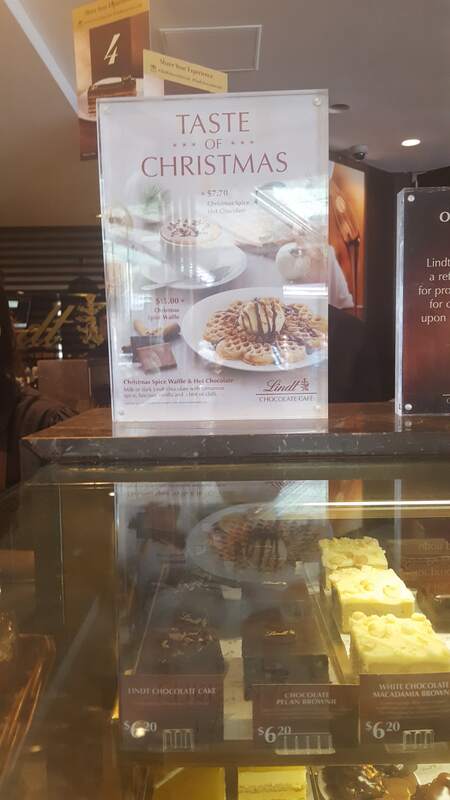 In the end, I stuck to my original choice and got the Lindt Signature Waffle. Unfortunately, there were no seats left inside so I was left sitting outside, batting away the malicious flies that don’t fly away when you swat them. I must say the chocolate was very good, obviously, and the ice cream was top notch. 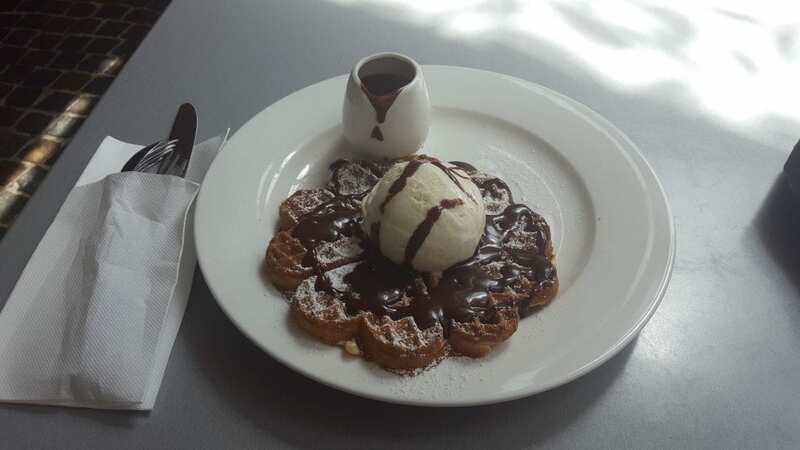 The waffle wasn’t as sweet or as thick as I would’ve liked, however, I think the reason for it not being very sweet was because the chocolate is supposed to compensate for the lack of sweetness… but it didn’t. However, overall I was very pleased with my waffle and the experience and when I have more money to spare I will definitely visit it again.